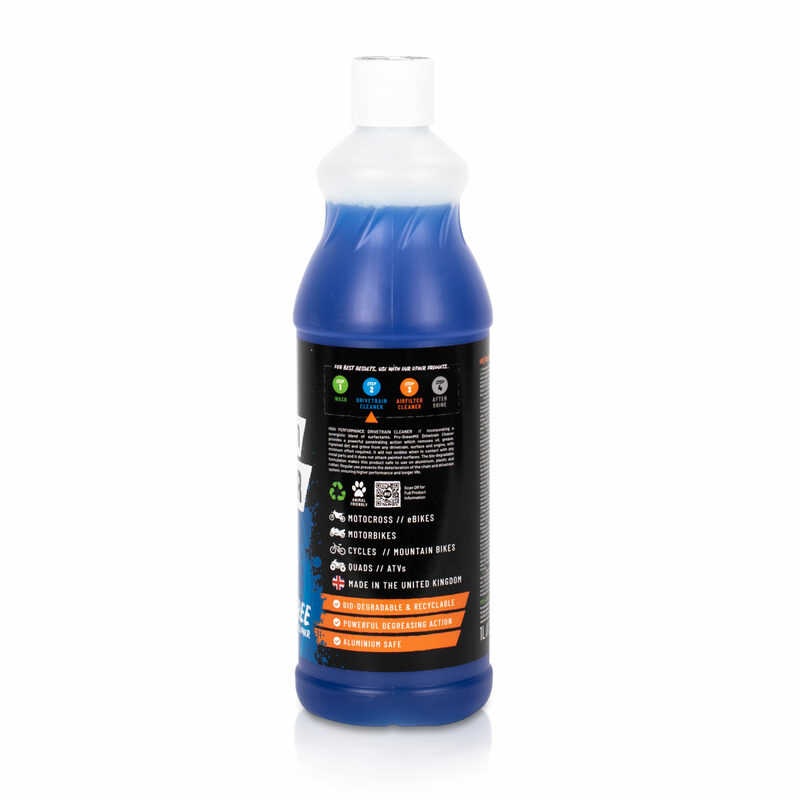 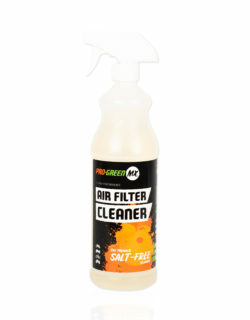 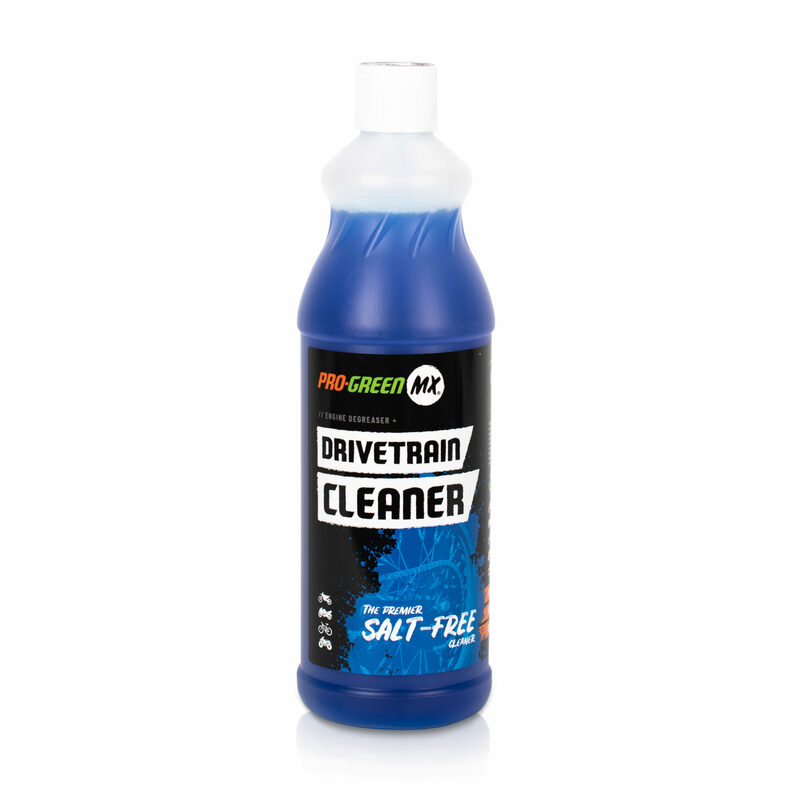 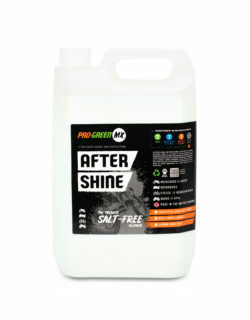 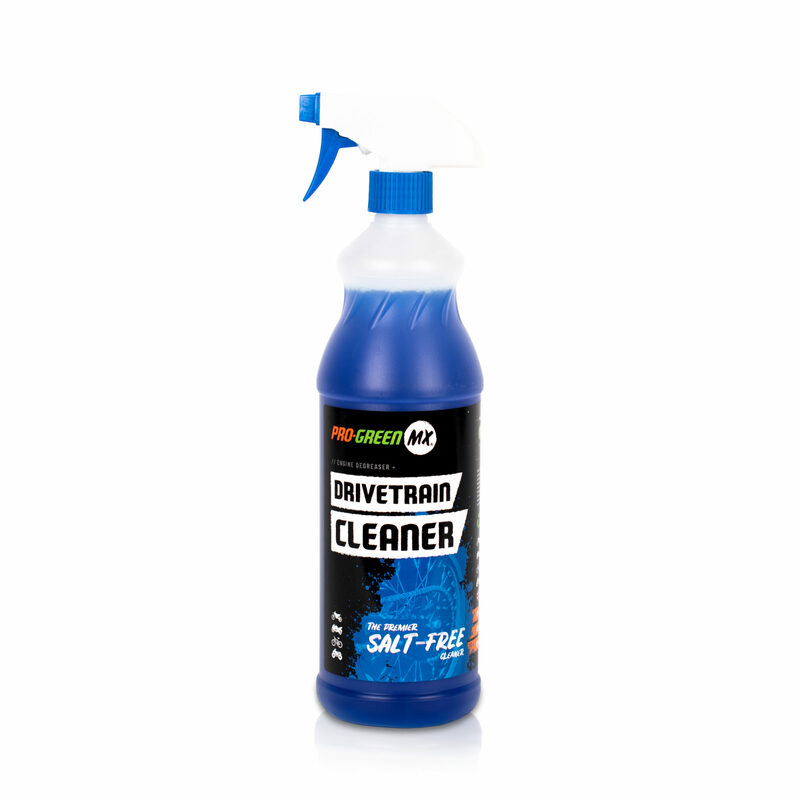 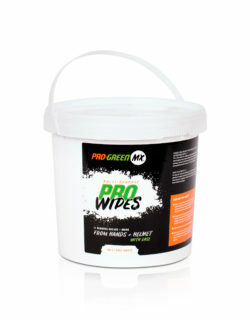 HIGH PERFORMANCE DRIVETRAIN CLEANER // Pro-GreenMX Drivetrain Cleaner provides a powerful penetrating action which removes oil, grease, ingrained dirt and grime from any drivetrain, surface and engine, with minimum effort required. 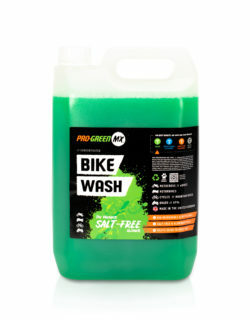 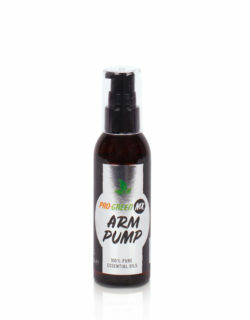 Product comes with trigger. Completely safe on all surfaces including sensitive metals such as aluminium, plastic, rubber and seals.